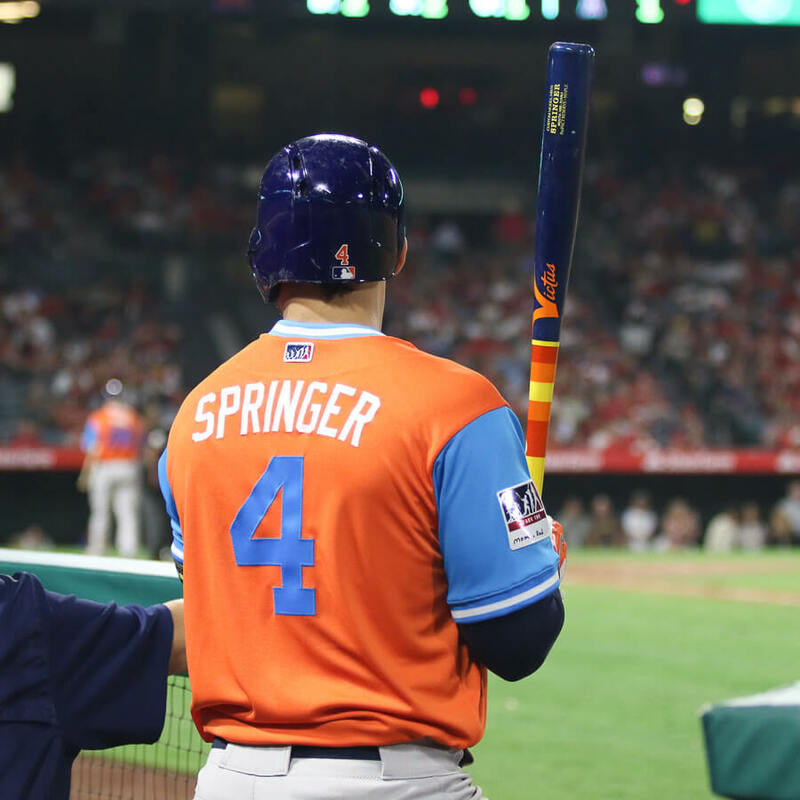 Springer was swinging the Victus “H-Town” custom painted bat, which is available as a JC24 at this link. 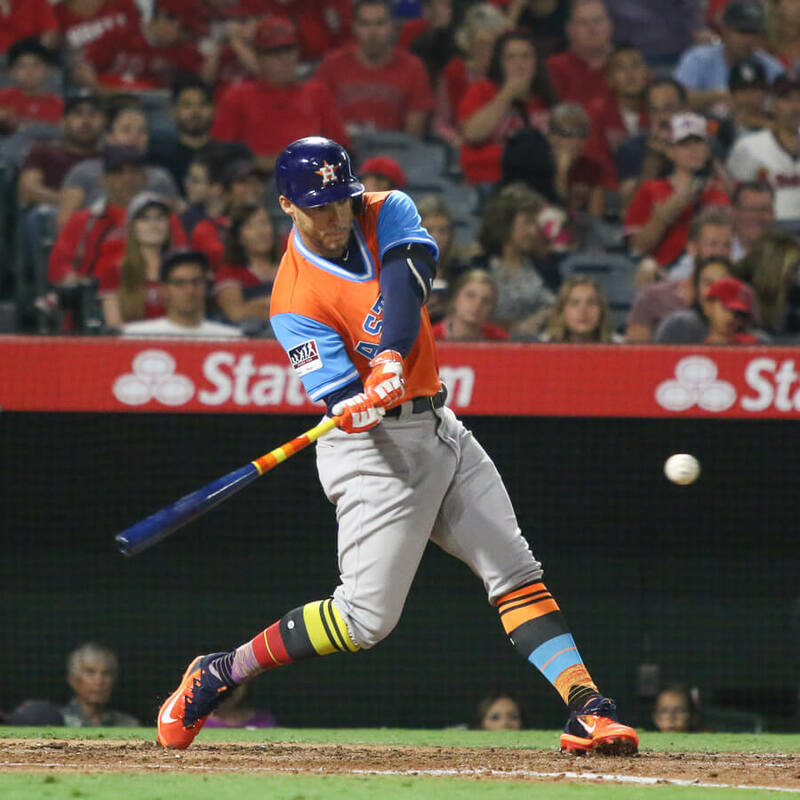 Springer is also rocking the Stance Players Weekend socks that you can get here in a full length and a crew length. 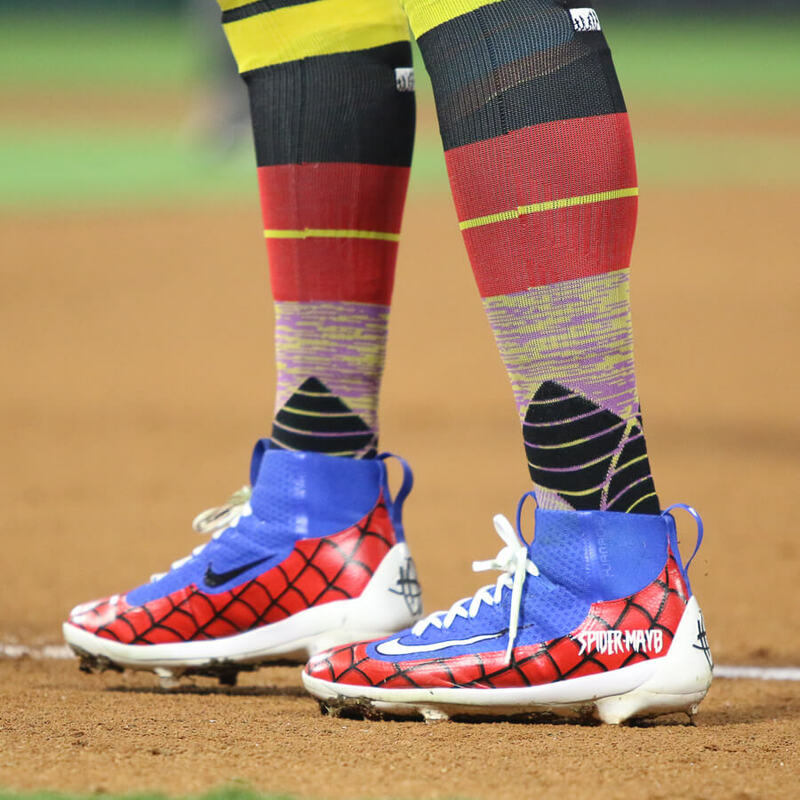 Cameron Maybin had some of the best cleats on the field this weekend, a Nomad Customs job that hit the Spider-Man theme out of the park. 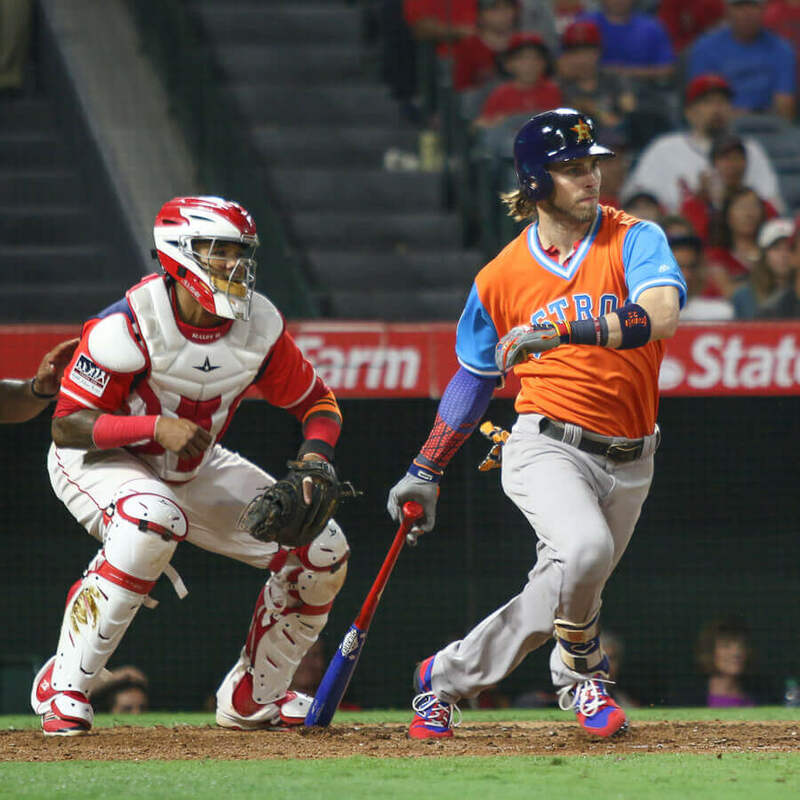 Josh Reddick didn’t have the cleats painted, but he had a sick 3000v3 Spider-Man colorway, a Spidey sleeve, and even the Old Hick looked the part. 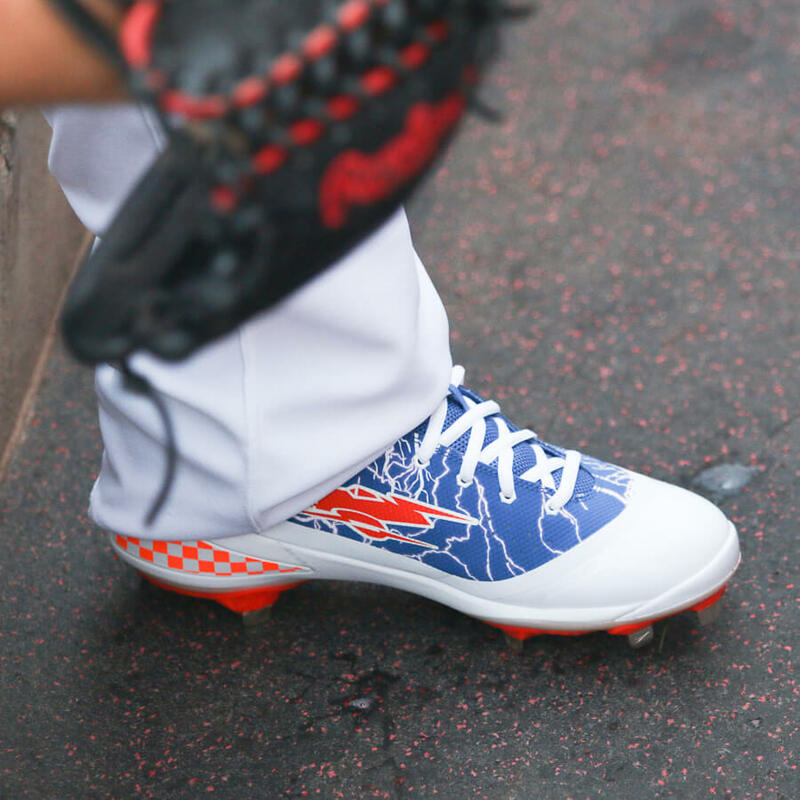 To top it off, Reddick has the inscription “Spider-Man” on his Wilson A2000 1799. 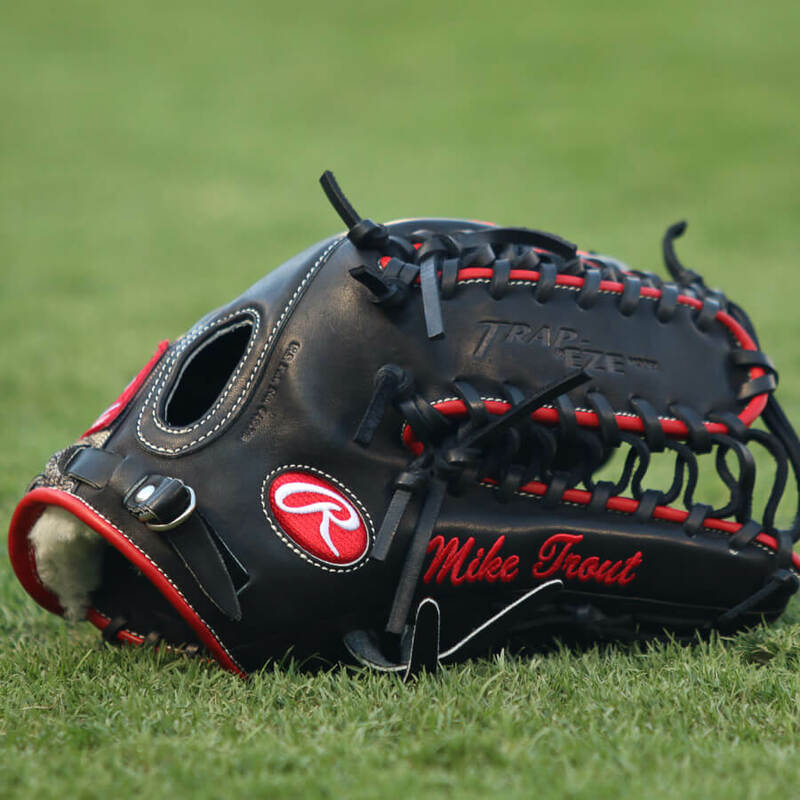 Trout’s got this classic-looking back-up glove that is actually available on the Rawlings custom builder. 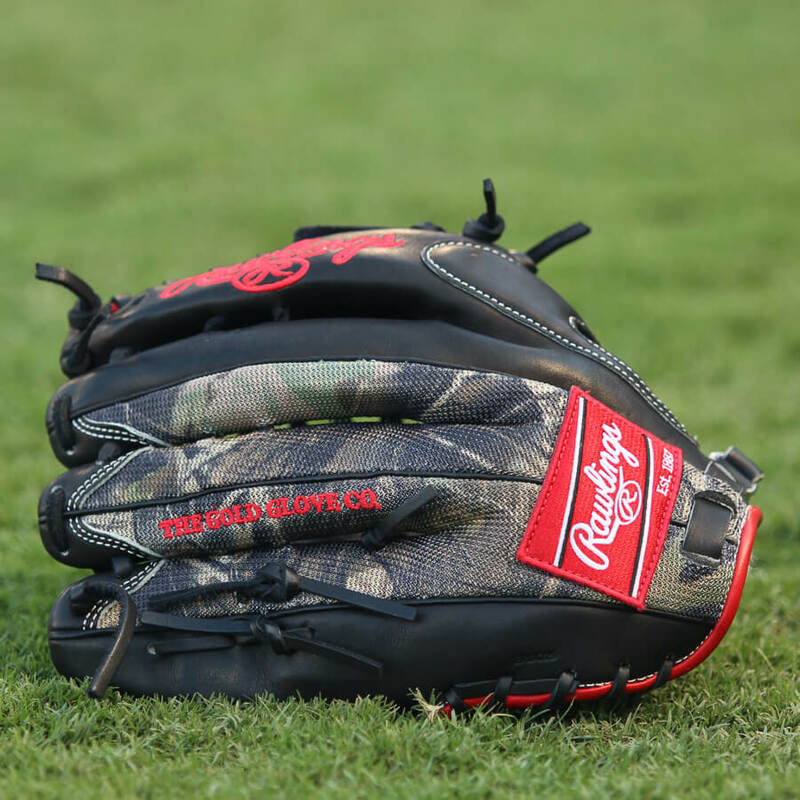 Classic in the front, camo in the back. 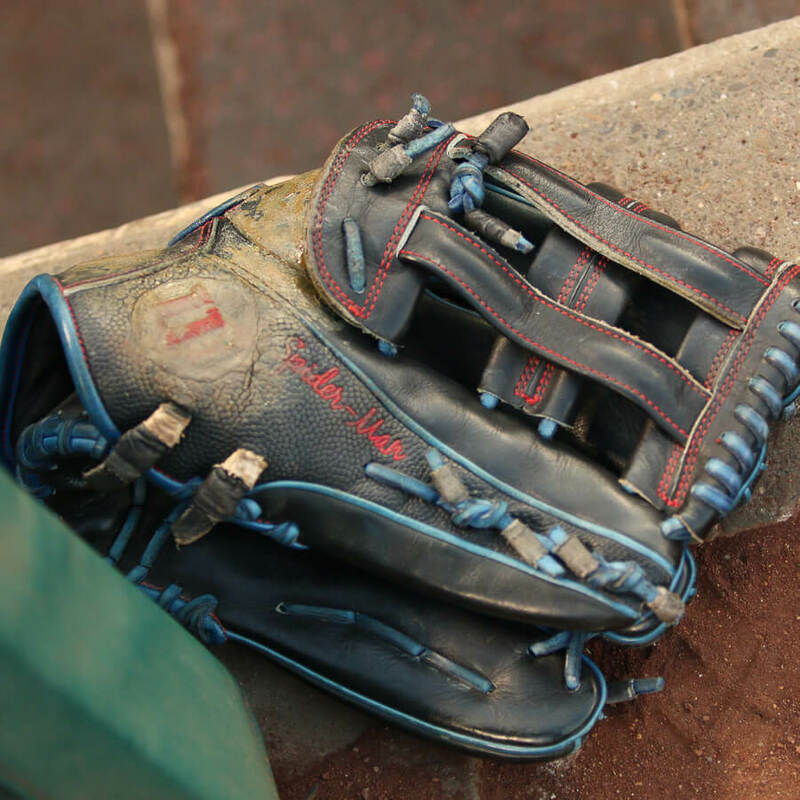 This glove is flames. Get it here. 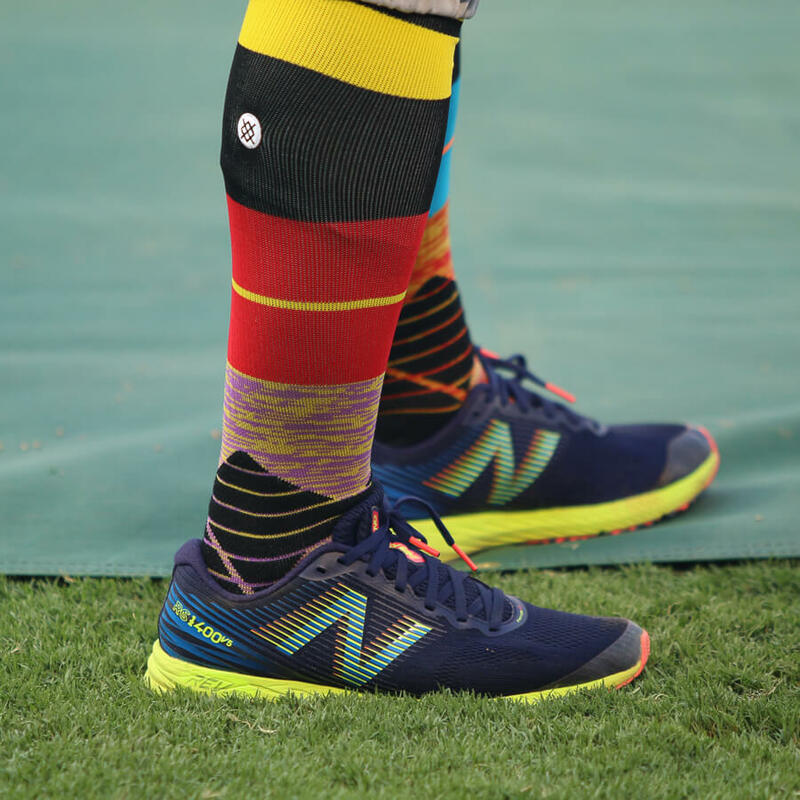 Jose Altuve probably had the best shoes to match the Stance Players Weekend socks, these New Balance 1400v5 trainer available here. 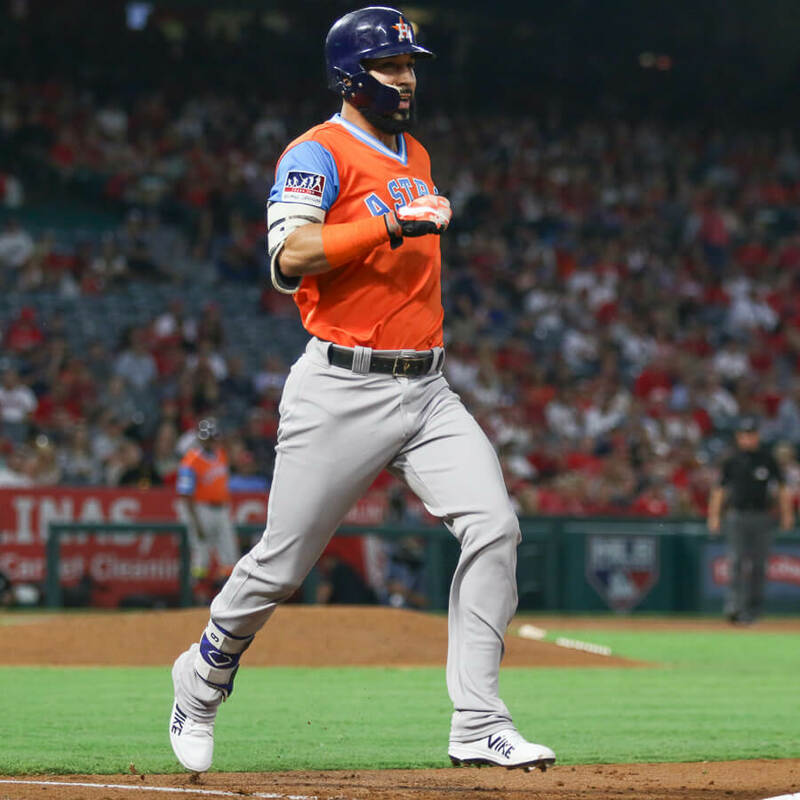 Jose Altuve’s New Balance 4040v4s are sharp, and they may inspire you to jump into the NB1 custom builder to make something just like them. 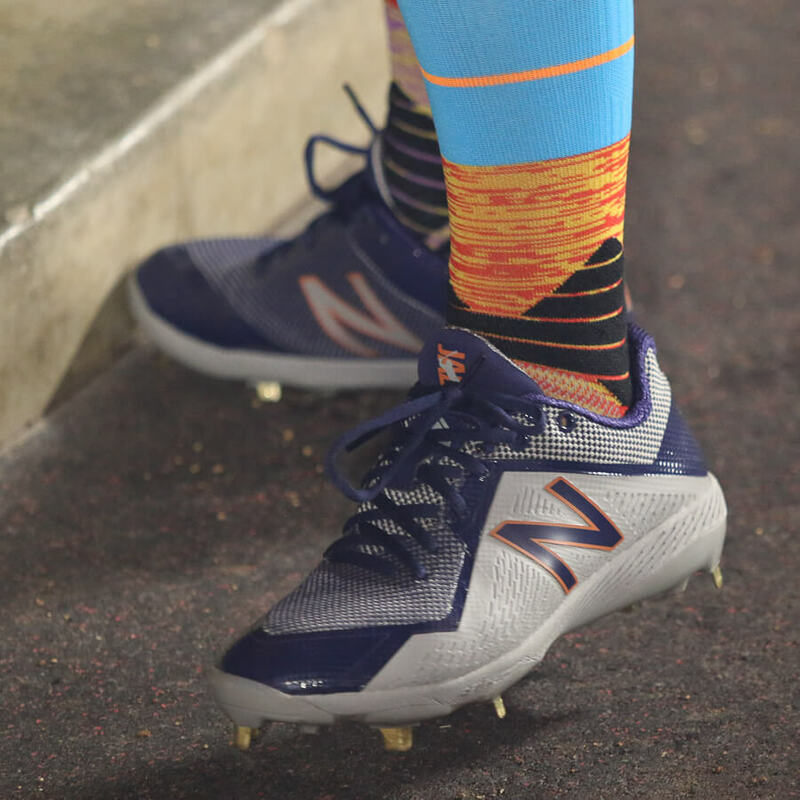 The sad truth is that you really can’t get anywhere near this type of finish, as the two-tone mesh is pro only, as well as the color-matching “N” logo. 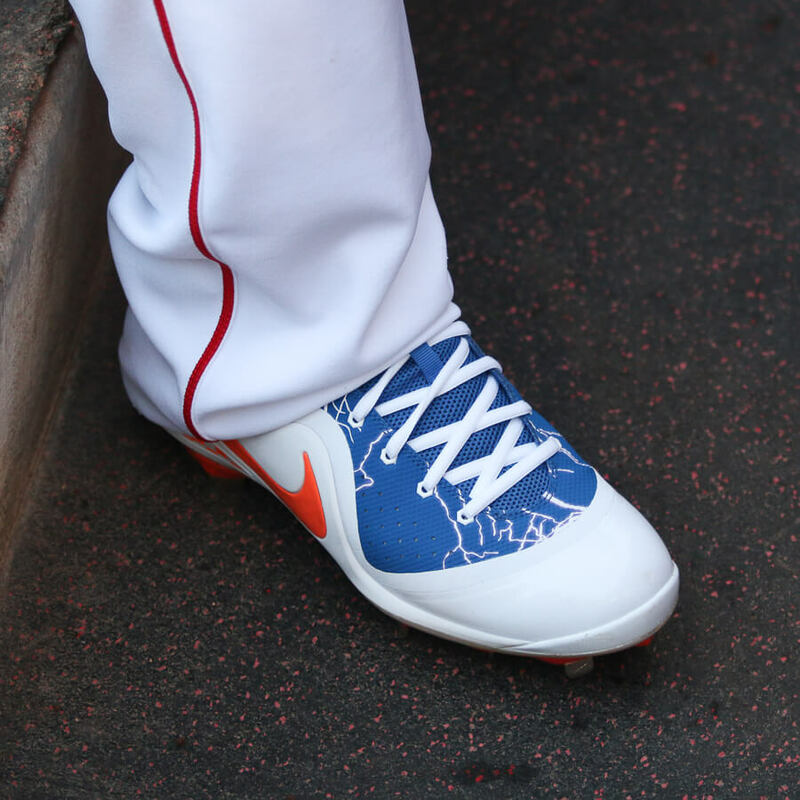 We’ve created a link to the closest alternative, but it just doesn’t come out looking as good as these. 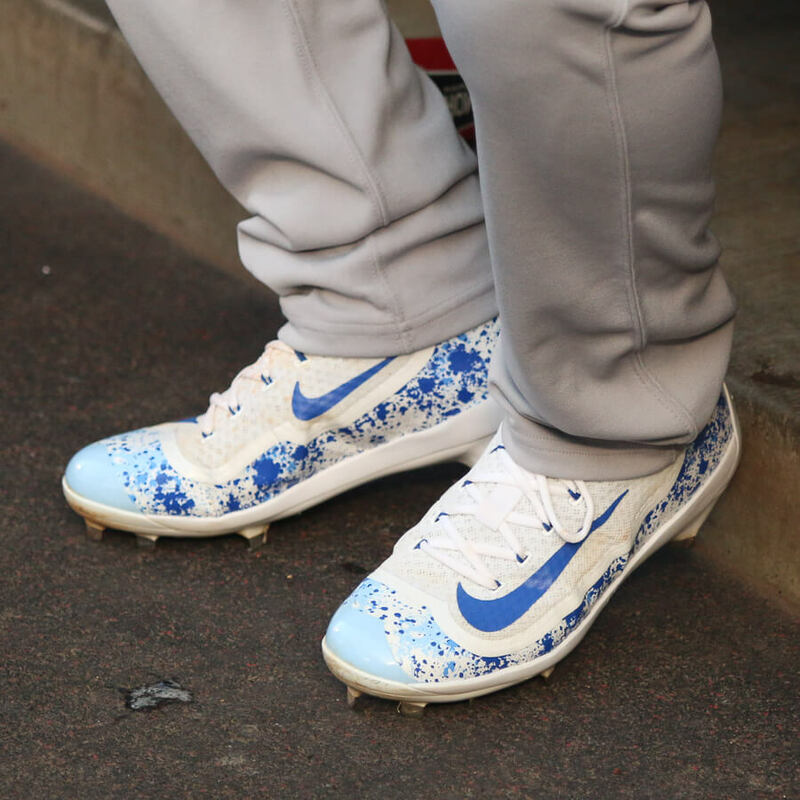 Mike Trout’s Players Weekend version of his signature Trout 4 cleats are our favorites so far, themed for his high school alma mater, the Millville Thunderbolts. 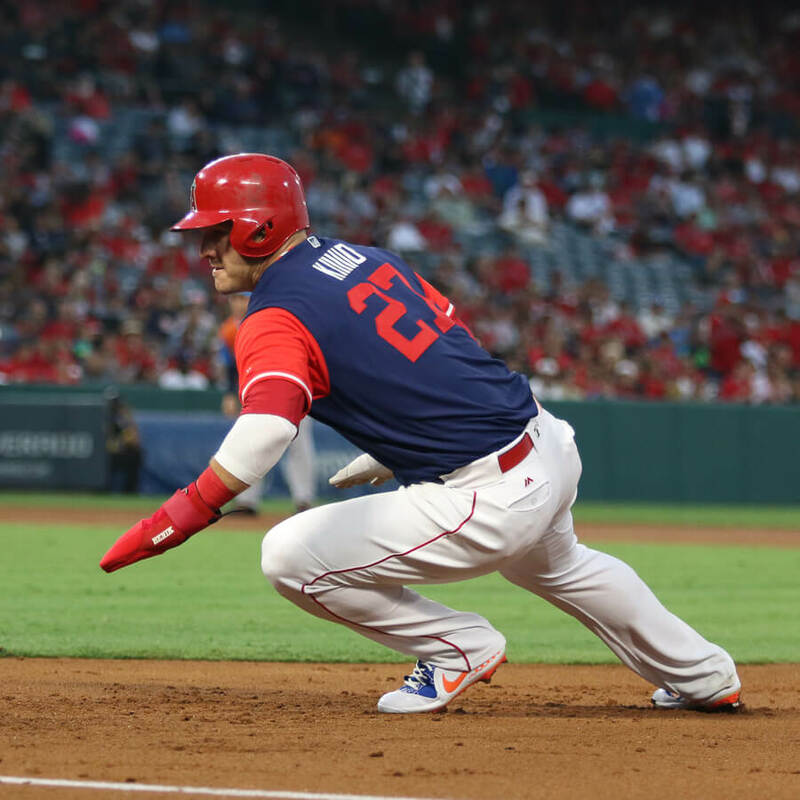 We also noticed Trout wearing a Benik W-137B oven mitt, which is an obvious precaution after he tore a thumb ligament on a slide. Unfortunately, we couldn’t find this one online, but Dynamic Bracing does have some options, but none like the oven mitt unfortunately. 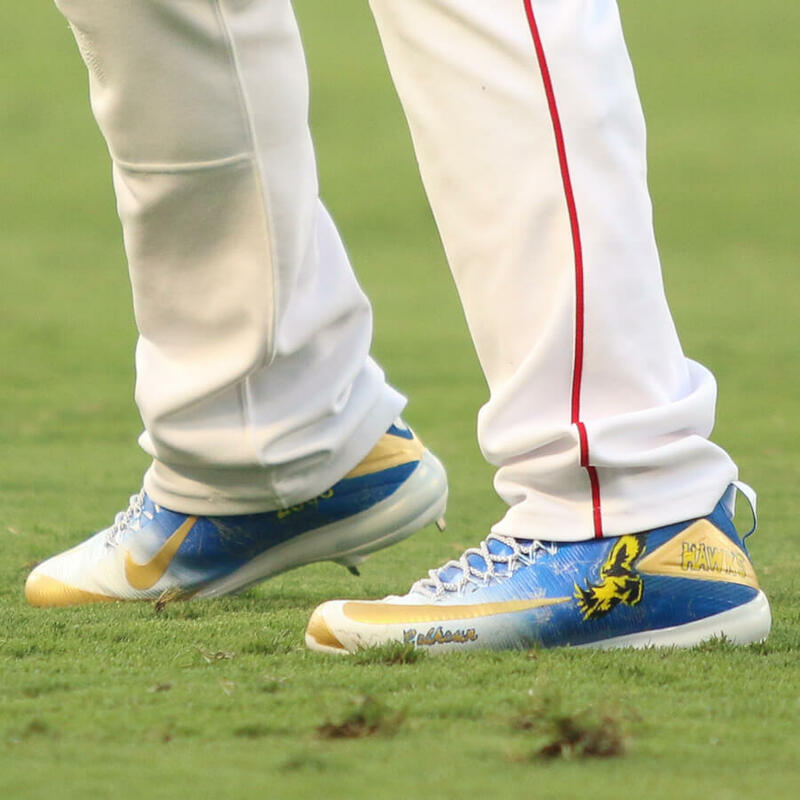 Marwin Gonzalez had an interesting take on Players Weekend, taking a white pair of New Balances and changing the logo from “N” to “Nike” with black magic marker. Maybe it was a joke? 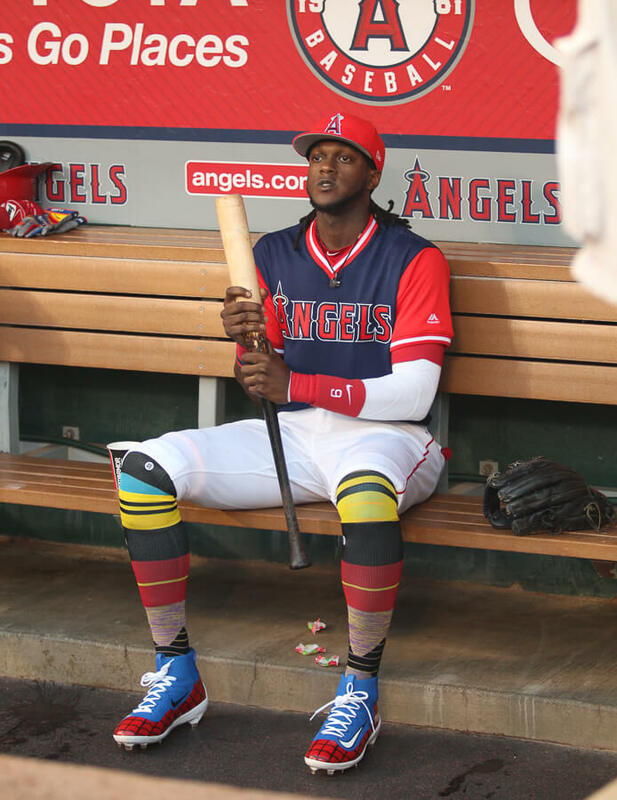 LOL, maybe he’s just jealous of Trout. You can draw your own conclusions on this one. 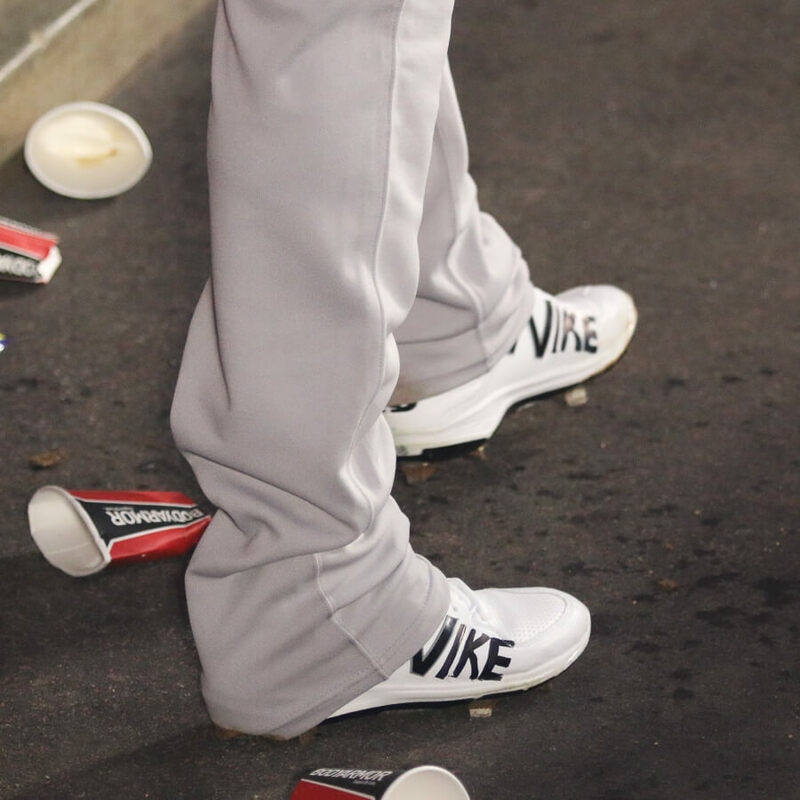 Seems like a waste of a great pair of cleats. 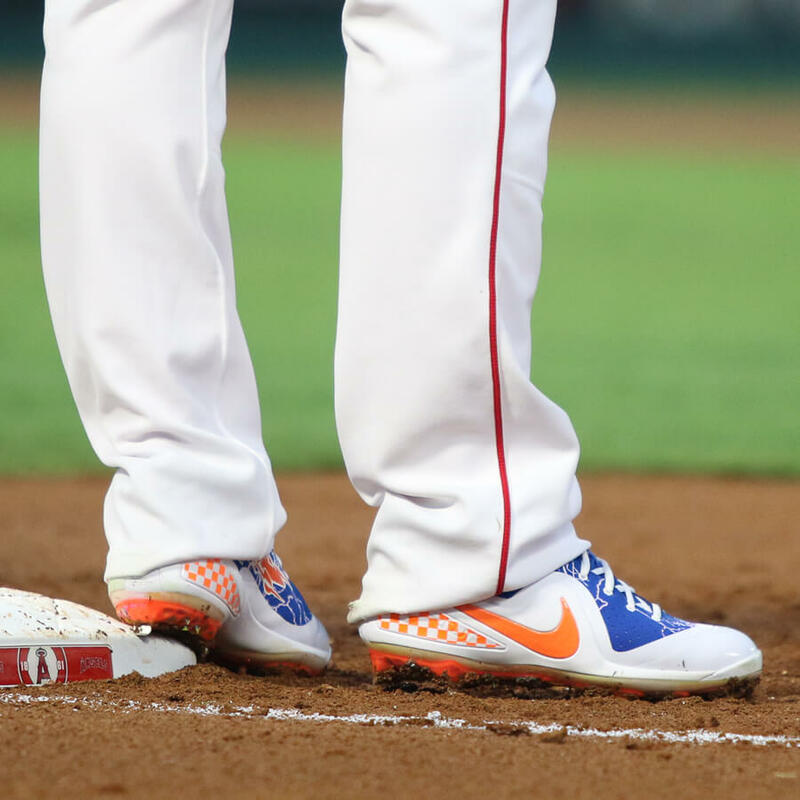 Alex Bregman’s Nike 2K Filth were another highlight for us. 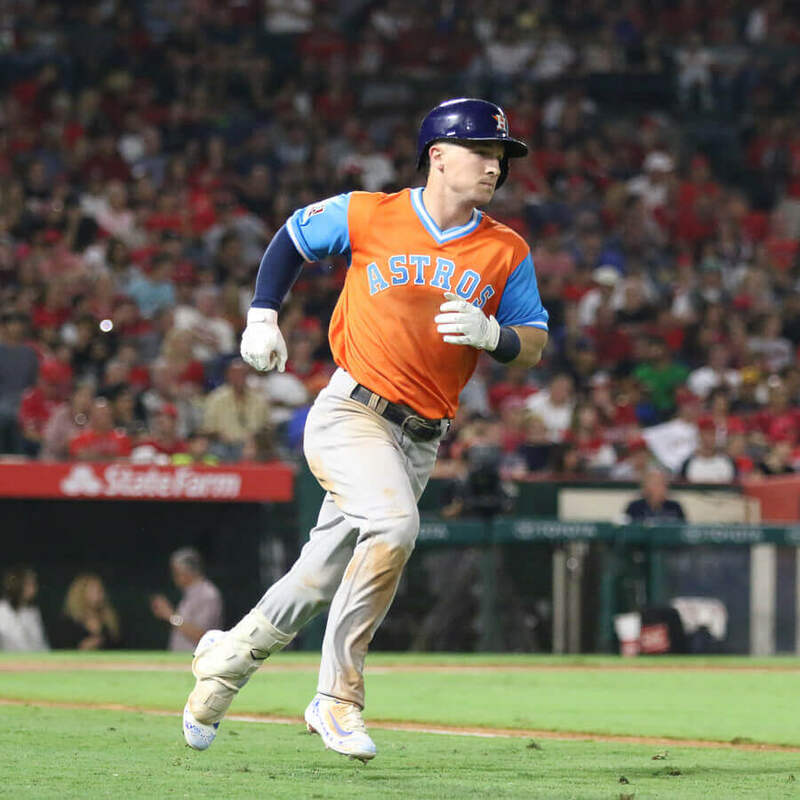 It didn’t hurt that Bregman went 3 for 4 and made hitting 90+ look pretty easy on that particular night. 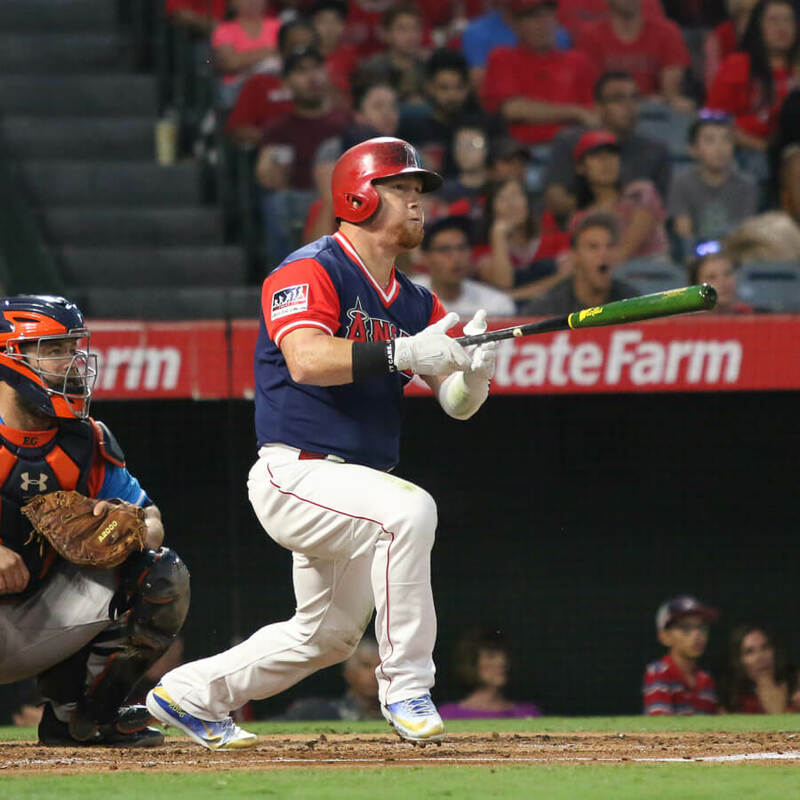 Kole Calhoun still has the best bat flip in baseball as far as I can tell. 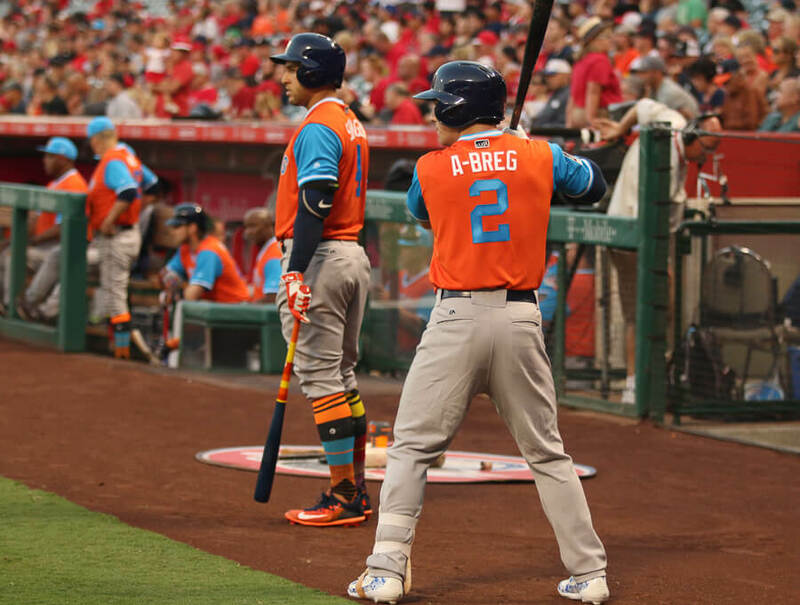 Who do you think had the best gear?